Lost in the shuffle of the drama surrounding UFC 223 fight week was Dana White confirming that former WWE champion CM Punk will make his return to the octagon in his hometown of Chicago at UFC 225. 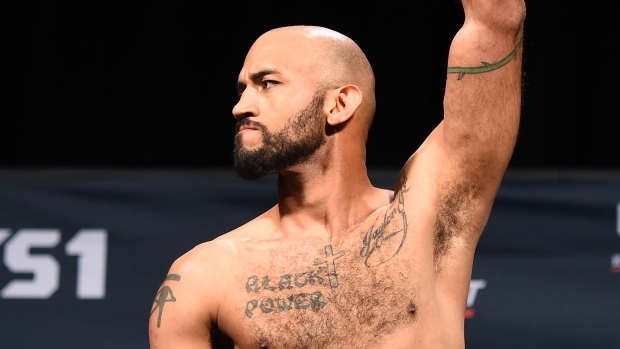 His opponent is Mike Jackson, who initially lost to Mickey Gall in the fight that would determine the opponent for Punk’s debut. Like Punk, Jackson sports an 0-1 mixed martial arts record, but Jackson wants fans to know that unlike Punk, he has a strong combat sports background. Jackson has been involved in the world of mixed martial arts for 10 years, but his first love is boxing, a sport he has followed closely since childhood. Over the weekend on Twitter, Jackson was commenting on WrestleMania 34 and in his younger days, he was a big fan of professional wrestling. Even though he is not very familiar with CM Punk’s WWE resume, it was his words that made Jackson push so hard to get this fight. Jackson is aware that this fight is a unique situation, but feels that it will pique the public interest more than the average UFC fight. After losing his MMA debut to Gall more than two years ago, Jackson admitted that the pressure may have got to him on fight night. He doesn’t think it will happen again when he faces CM Punk. Don’t mistake his confidence for disrespect, because Jackson does appreciate the risk that CM Punk is taking by accepting a second fight with the UFC. If Jackson gets a win over CM Punk, he has his eye on another UFC fighter who he thinks he matches up favourably with. Of course, that is dependent on whether that fighter is still with the promotion following his recent actions. But before his eyes get too big, Jackson knows that he needs to defeat CM Punk and his strategy is clear.